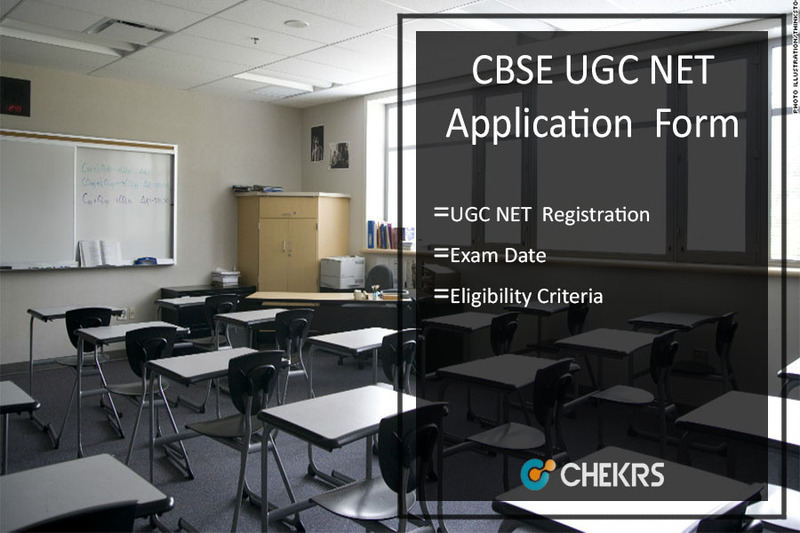 CBSE UGC NET Application Form 2017- सीबीएसई यूजीसी नेट आवेदन प्रपत्र Central Board of Secondary Education (CBSE)on behalf of University Grants Commission (UGC) invites the applicant for UGC NET Exam 2017 which is going to be conducted on 5th November. Therefore interested and eligible candidates must soon apply by filling CBSE UGC Net Online Application Form 2017 through its online portal. The application process will start from 1st August and thus candidates must go through the process of UGC NET Registration 2017 and accordingly apply for the exam. In regards to more precise details of exam date, eligibility etc check the article below. Central Board of Secondary Education (CBSE) conducts the NET exam every year from time to time. Accordingly, it has released the notification for UGC NET Exam 2017 recently. Candidates who are interested in the exam must now apply through its online portal by filling UGC NET Application Form 2017. UGC NET is conducted every year to determine the eligibility of Indian candidates for Junior Research Fellowship and for Assistant Professor or for both. The authority has declared the CBSE UGC NET Exam Date 2017 and accordingly the exam is going to be conducted on 5th November. Therefore aspirants need to follow the below-mentioned points to fill CBSE UGC NET 2017 Online Application Form. Candidates must have qualified the Master’s degree or equivalent with 55% from any state or central recognized university (50% for SC/ST/OBC/PWD candidates). Candidates appearing for the final year exam are also eligible to apply for UGC NET (provided they have to qualify the examination before awarding the post). However, these candidates must have qualified their Master’s degree within 2 years from the date of NET results. Candidates are advised to appear in the subject of their Master’s only. However, candidates whose post-graduate subjects are not listed in the prescribed list can appear in the related subjects. Candidates applying for Junior Research Fellowship should be not more than 28 years of age as on 1st July 2017. However, 5 Years relaxation is provided to the candidates belonging to OBC/SC/ST/PWD. 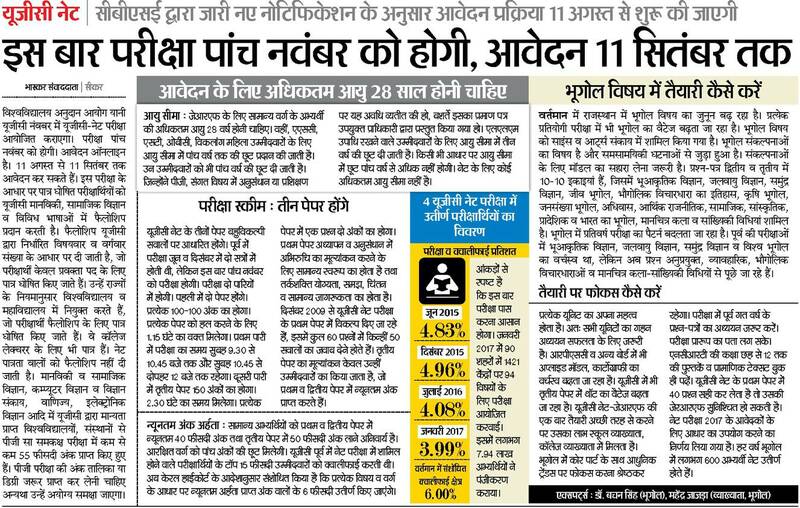 There is no upper age Limit for candidates applying for Assistant Professor. Candidates who are interested in UGC NET 2017 Exam can now apply online by filling UGC NET Registration Form 2017 through its online portal till 30th August. 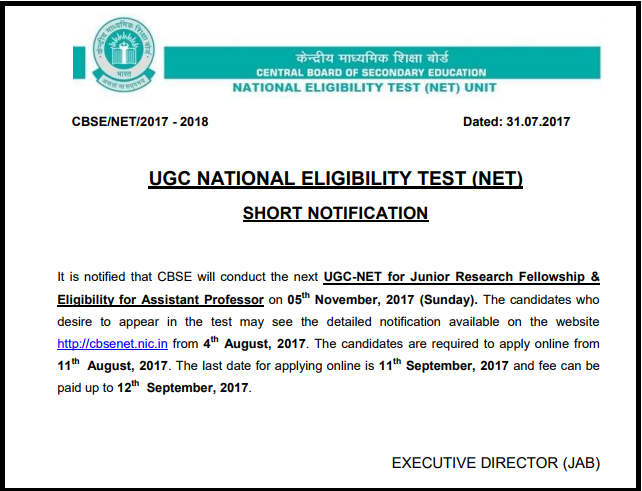 Therefore all the aspirants of UGC NET 2017 can get here complete information in regards to CBSE UGC NET 2017 Registration and other related details. For the latest alert stay tuned to our portal. Incase of any query place your comments below.